After repeated delays it appears a new station at Kenilworth in Warwickshire is set to open 'in the next few weeks' putting to bed a long-running local blame game. The county council remains unable to give a firm opening date but Shakespeare's county is hopeful that all's well that ends well. 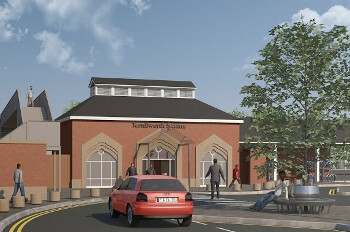 Services from the new station at Kenilworth were due to begin last year but the opening has been repeatedly delayed, with much ado from all the parties involved, including Warwickshire County Council, the Department for Transport, and Network Rail being blamed in turn. In January last year it was reported that Network Rail had been unable to meet agreed dates to deliver track and signalling works, (those involved were particularly wary of the 15 March). The council said last month there remained several tasks to be completed before regulator the Office of Rail and Road (ORR) could sign off the station as ‘fit for business’. An ORR spokesperson told Transport Network that it had now received the relevant documents and was hoping to ‘fast track’ the approval process. The new station has been built on the site of a previous station that was closed in the 1960s under the Beeching cuts. It has been constructed in a ‘heritage style’, incorporating design elements from the original station. The cost has also risen to nearly £13.6m. The project is being funded by the Department for Transport (DfT), Warwickshire County Council, and Coventry and Warwickshire Local Enterprise Partnership(CWLEP). The scheme is designed to encourage economic regeneration between Nuneaton and Leamington Spa. When open, it will be served by a new train service between Leamington Spa and Coventry. Although the line is single track and the station will have only one platform, it has been reported that there are plans to build a second track, possibly to coincide with the arrival of HS2 in the West Midlands.